I did some shopping on the weekend and managed to find this beautiful bargain. I love Wittner shoes and, although they start off expensive, they do have some amazing sales. This pretty pair of heels were a quarter of the original price. I remember awhile ago that Wittner introduced a bridal range and this was part of it- this is good because it means they are extra girly! 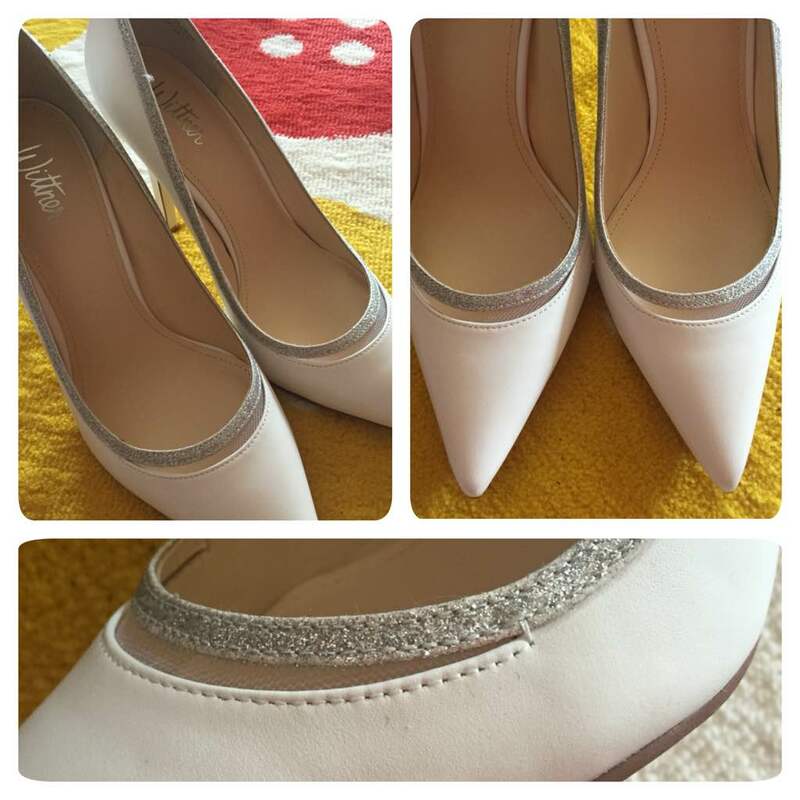 The sparkly detail is lovely and I always adore a pale coloured shoe. I can’t wait to wear them for the first time. I hope I find a permanent solution to my ankle injuries because I haven’t worn heels much in the past few months. This entry was posted in Latest Obsession, New In, Wittner. Bookmark the permalink. Actually I'm not very into white shoes, but those look original! 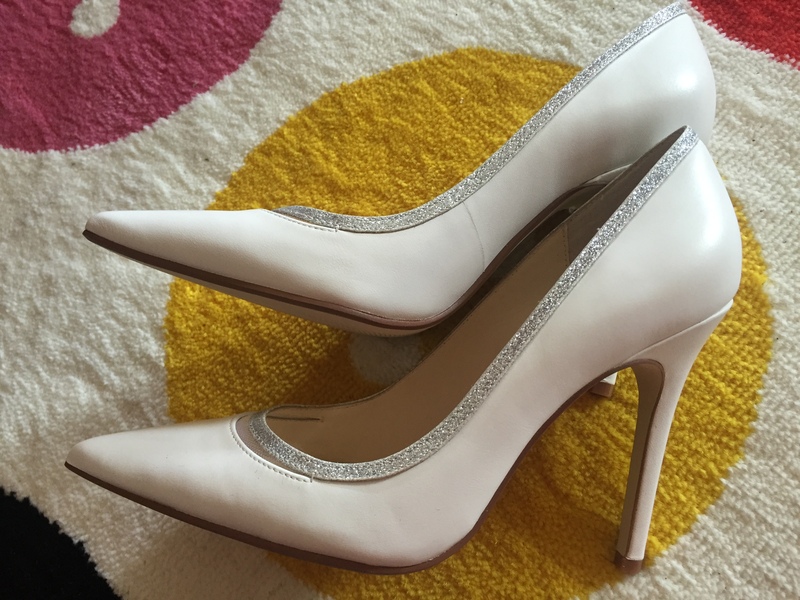 These heels are just beautiful, and you got them on sale so double yay! 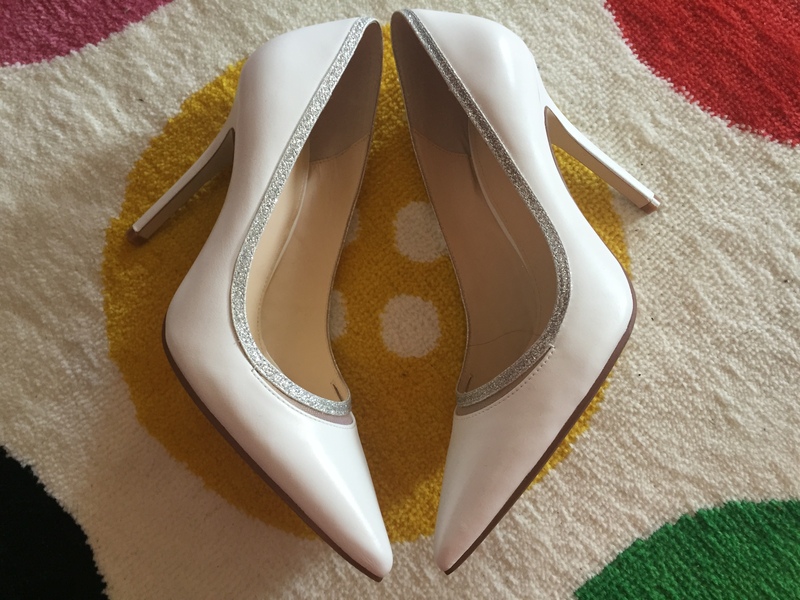 Oh Imogen those shoes are divine – love! Those are really pretty! Sorry to hear your ankle is still bothering you, I hope it gets better real soon. They are beautiful shoes! Hopefully your ankle will heal and you'll be able to get lots of wear from them soon. I find Wittner make the comfiest heels, and like you said you can always score them on great sales! Where else could you get leather shoes for $20?! All my heels are Wittner ones, haha! Such gorgeous shoes. I love the glitter. love the detail on the shoes! Oh very gorgeous shoes darling! I am in love with your shoes! !